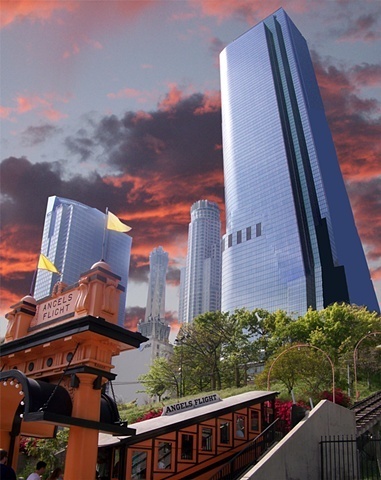 After many years of archival storage due to fatal accidents, downtown LA's "Angels Flight" was operating for a while, but currently (2016) not running again. Back in 1955 when our family rode the "Red Car" from Hollywood to Olive Street in downtown, we would then transfer to ride the Angels Flight and rode it down to Olive Street below and shopped at the Grand Central Market. The fare back then was an exorbitant 5 cents a ride and the "Red Car" was a reasonable 25 cents either way. "Gone But Not Forgotten", those were certainly.................."The Most Amusing Good Old Days!"